CES 2013: Stars of CES 2013 - the winners revealed! | What Hi-Fi? CES 2013: Stars of CES 2013 - the winners revealed! 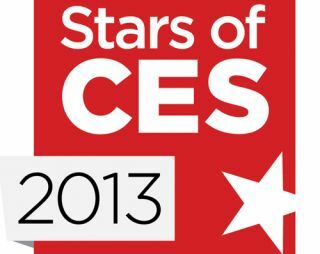 Our Stars of CES 2013 Awards have been revealed! The top ten audio and video products at this year's Consumer Electronics Show, chosen by What Hi-Fi? Sound and Vision. As the international media partners for the show, our team has been scouring the rooms of the Venetian Hotel in Las Vegas for the hottest audio products unveiled at CES 2013. Our Stars of CES are the ten most exciting products that we've seen launched at this year's show. We’ve been spoilt for choice once more, from high-end speakers to wireless products, monstrous amplifiers to compact DACs. First up, we’re recognising a product that seeks to wring even more performance from a long-running format, and looks great into the bargain – it’s the Parasound Halo CD1. Next we’ve an Award for a product that uses an even more venerable format. Possibly the most beautiful product in the whole of the Venetian this year, it’s the McIntosh MT5 Precision turntable. For striving to bring a taste of authentic hi-fi to desktop, computer-based audio, we want to congratulate Naim for its DAC-V1 & NAP-100 pre-amp/DAC and power-amp combination. A product that promises the high-definition, 7.1-channel audio prowess to match its looks. If it’s state-of-the-art surround-sound processing you want, look no further than the Krell Foundation. If it’s convenience without compromise you want, this next Award-winner has it all – a CD player, music streamer, tuner and DAC with the emphasis placed squarely on sound quality, it’s the T+A MP3000 HV. On the subject of convenience, our next Award-winner couldn’t be much straightforward. Stylish, affordable and utterly simple to use, it’s the Airplay and aptX Bluetooth Polk Woodbourne wireless speaker dock. If you want to combine a lifestyle statement with affordability and the promise of great sound, you need to see and hear this 2.1 streaming system. The Cabasse Stream 3. Turn your system into an AirPlay-enabled streaming set-up, and enjoy superior digital-to-analogue processing at the same time, with the Arcam AirDAC. Combining one-of-a-kind looks with the promise of high-end music-streaming performance – it’s the DSX1000 from Chord Electronics. And that’s the ten. Something for everyone, we hope you agree, and plenty to get excited about for 2013 in the world of hi-fi and home cinema. Don't forget there was plenty more to see at CES, not least in the form of the big-hitters of the TV industry announcing the very latest tech for 2013.